Bink is a proprietary video file format (extension .bik) developed by RAD Game Tools, and primarily used for full-motion video sequences in video games. Bandicam Video Library (BVL) has many more features than BINK and supports almost all of Bink' functions. It is one of the best Bink alternative programs. See the table to compare Bandicam Video Library with BINK. Audio: MPEG1 Audio Layer2 proprietary audio/video codec. Good video codec has many benefits. If the file size is the same, the quality of the video is similar to the original one. If the quality of the video is the same, it needs a lower bitrate. See the below process to compare BINK video with the Bandicam Video Library MPEG1 codec. Prepare a HD WMV video file. Bink Video(.bik) encoded by Rad Video Tools without sound. Bandicam Video encoded by Bandicam Video Converter without sound. The resulting file is as close as possible to the size of the BINK video file using a variable bitrate. Compare frame by frame with the PSNR analyzing tool. ※ BINK(.bik) files are playable by installing Rad Video Tools. ※ Bandicam Video Files - AVI files that use the MPEG1 Video and MPEG1 layer 2 video - are playable by installing Bandicam MPEG1 decoder. ※ BINK uses Bytes for the video file size, on the other hand, Bandicam Video Library uses bits. See the below graphs. Every frame is decoded and compared with the PSNR compare tool. If the PSNR value is higher, the video quality is better. It shows the MPEG1 and VP8 video codecs compress video about 40%~60% more efficiently than BINK. CPU usage is the most important consideration in gaming. Even though recent CPUs have improved dramatically, game developers still want to have more CPU power. As a subsidiary role in games, a video library must not consume too much CPU power. Bandicam Video Library is the best solution which uses the least CPU power. 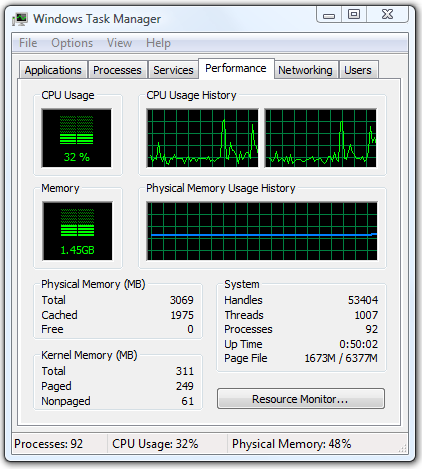 The following test has been conducted on the Intel Atom 330@1.6Ghz CPU. On Core2 Duo/Quad the difference is too small to compare. 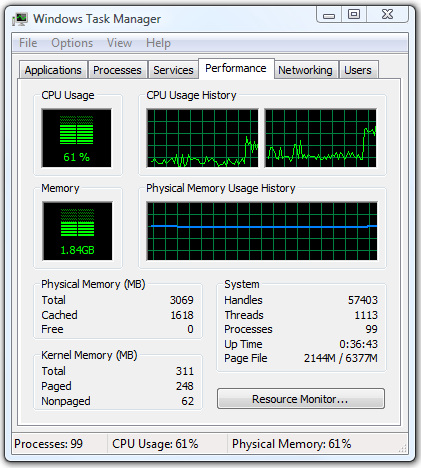 (On Core2 Duo CPU average usage is about 1~2%.) Same video file(1080p video file) is used to compare codecs . Because of the difference in platform architectures, Bandicam Video Library uses about 20%~30% less CPU resources than BINK.